MAILERS4U presents their 4x5.5 inch bubble out pouches. These pouches are smooth on the inside with 5/16 inch protective air bubbles on the outside so that your items can be stored and protected. Each pouch measures 6-inches x 10-inches laid flat and measures 6-inches x 8.5-inches when sealed empty laying flat. Package includes 50 bubble out pouches. MAILERS4U presents their 6x8.5 inch bubble out pouches. These pouches are smooth on the inside with 5/16 inch protective air bubbles on the outside so that your items can be stored and protected. The bags are clear so that the contents can be seen meaning there is no need to label every pouch, you can simply see what is inside! Easy to use self adhesive seal means no messing with tape or glues, simply pull the white strip off and press closed to seal. 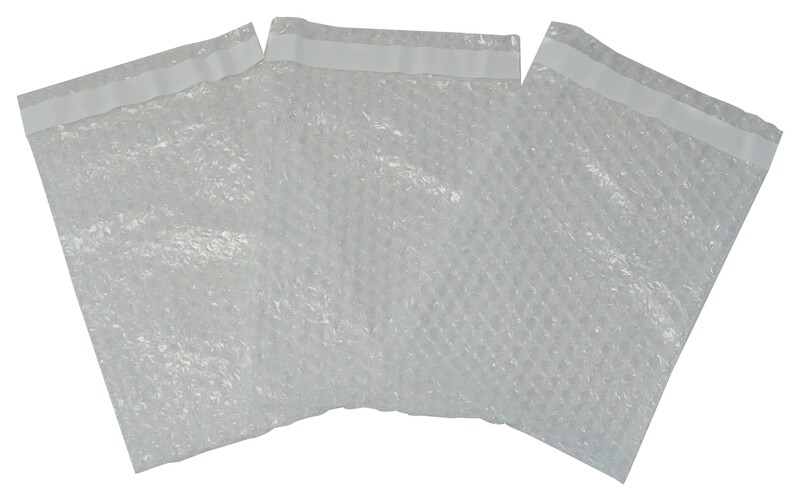 These are also great to use as an extra layer of protection when shipping, either in conjunction with a plain poly mailer or double up the protection by placing it inside a bubble mailer. Each pouch measures 6-inches x 10-inches laid flat and measures 6-inches x 8.5-inches when sealed empty laying flat. Package includes 50 bubble out pouches.